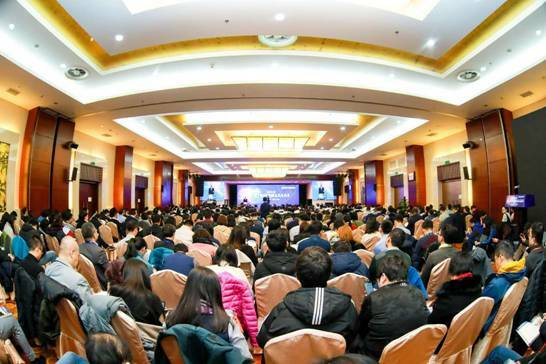 The ICT Insight Seminar and While Paper Presentations, hosted by China Academy of Information and Communications Technology, was held on 19 December 2018 in Beijing. H.E. Wang Xinzhe, Chief Economist of MIIT, attended and addressed at the seminar. Mr. Zheng Nanning, Academician of China Academy of Engineering, delivered a keynote speech. Ms. Liu Duo, President of CAICT, chaired the opening ceremony. H.E. 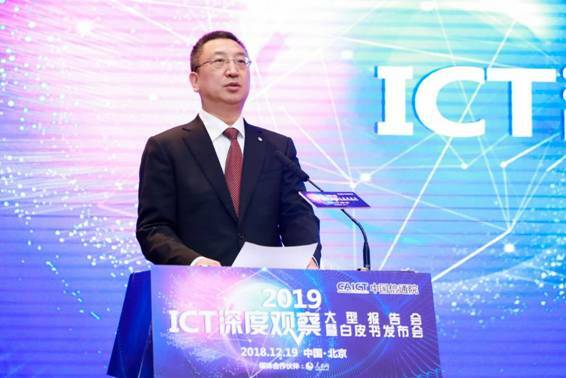 Wang Xinzhe said that China's ICT industry has developed rapidly and injected great vitality into the national economy and social development under the correct leadership of the Party Central Committee since the reform and opening up, especially since the 18th CPC National Congress. The outstanding achievements made include: 1) national wide coverage of information communication network; 2) leapfrog development of ICT; 3) rapid development of Internet economy; 4) steady enhancement of support and driving forces. These achievements fully reflect the rapid development trends and huge advantages of China's ICT industry. As the competent authority of ICT industry, MIIT will adhere to the guidance of Xi Jinping's new era of socialism with Chinese characteristics, thoroughly implement the spirit of the 19th CPC National Congress, and resolutely implement the decision-making arrangements of the Party Central Committee and the State Council, and accelerate the development of next generation of ICT on the basis of building the manufacturing powerhouse and cyber power, making contributions to building a modern economic system and promoting the high-quality economic development of China. H.E. Wang Xinzhe gave four suggestions on the future development of ICT industry: 1) improve network support by synchronized development of fixed and mobile communications; 2) enhance the integration and leadership by interaction of online and offline business; 3) improve the administration of ICT industry by coordination of government and social activities; 4) enhance the security by simultaneous development of the regime and the technology. 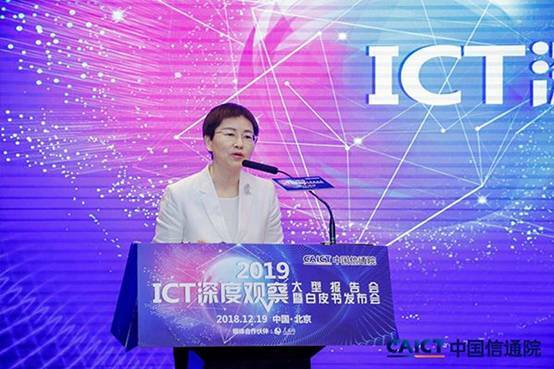 Ms. Liu Duo said in her opening remarks that this is the 11th consecutive year for CAICT to hold the ICT Insight Seminar and White Paper Presentations. CAICT has been working hard on ICT, especially on cutting-edge technology research. It has been complying with China’s and global development trends, making efforts in new technologies such as Internet, big data, integration of AI and real economy, and overall development in 5G, industrial industry, smart health, fintech, etc. All of these are to contribute to China's ICT industry and the integration of new generation of ICT and the real economy. She also expressed her appreciation to all the officials and experts as well as friends from industry for their support and help in the last 11 years. In the special report releasing session, Mr. Lu Chuncong, Ms. Li Haihua, Mr. Xu Zhiyuan and Mr. 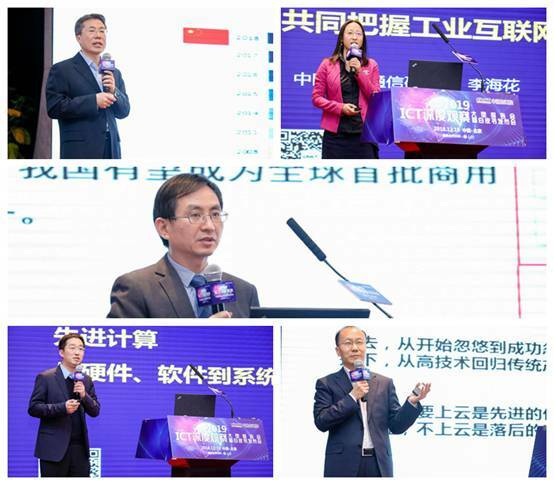 He Baohong delivered keynote speeches on four hot topics: digital economy, industrial Internet, advanced computing, and AI. 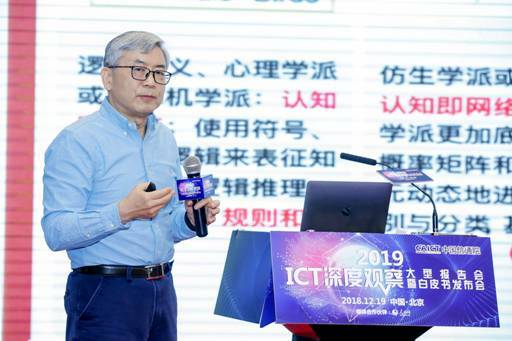 Mr. Yu Xiaohui, Chief Engineer of CAICT, released the report on “Top Ten Trends of ICT in 2019-2021”: I. 5G commercial deployment accelerates the maturity of industrial chain; II. Industrial Internet leads digital transformation; III. Information network and industrial system transformation reshape; IV. Ubiquitous connectivity builds a new ecology of IoT; V. Smart empowerment drives the new wave of computing industry; VI. AI will be deployed and spread increasingly; VII. Blockchain is to explore building a distributed trust system; VIII. The uncertainty of global ICT industry will be deepened; VIIII. The multi-party governance of digital economy will step from consensus to practice; X. The intelligent attack and defense reconstruct network space security paradigm. At the "ICT Industry Policy Development" and "ICT Technology and Innovation" sub forums, CAICT released 8 insight reports, covering areas of ICT industry, integration of industrialization and informatization as well as industrial Internet, wireless and mobile communications, information network, advanced computing, big data and AI, digital economy and legal supervision, network security and international governance. CAICT also released White Paper on Internet of Vehicles (2018), Digital Economy Development Research Report of G20 (2018), Digital Twins City Research Report, Advanced Computing Development Research Report, Quantum Information Technology Development and Application Research Report. More than 600 representatives from governments, telcos, equipment manufacturers, Internet companies, colleges and universities, research institutes and media attended the meeting.